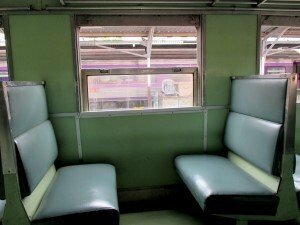 Train 174 from Surat Thani to Bangkok is one of the cheap, Rapid sleeper services that departs in the afternoon, travelling overnight and arriving in the capital in the early hours of the morning. If you are coming from the Islands around Koh Samui, it is actually quicker to travel by ferry, then take a bus directly from the ports to Bangkok. This saves you time as the train station is located to the south, so you are actually making your journey longer if you travel by train. Taking a flight from URT (Surat Thani Airport) is also another possibility, with regular flights to Bangkok' - Suvarnabhumi Airport (BKK) or Don Muang Airport (DMK). Flight duration is just over an hour and tickets can be bought cheaply if you book well in advance (it is much cheaper to fly from here than it is from Samui Airport). 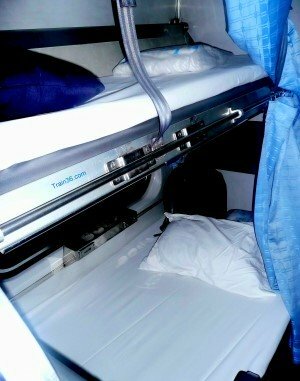 With a range of seating and sleeping options, these Rapid trains are popular for budget travellers. 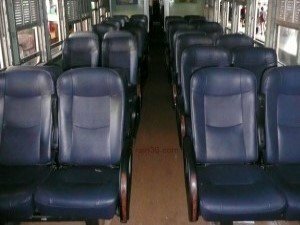 3rd class seating is okay for short trips, but on this overnight journey we would not recommend them unless you are on a really tight budget. The carriages are often crowded and noisy, so getting any sleep is quite difficult. 2nd class seats are more comfortable (as they recline) and the carriages are a little less crowded than in 3rd class. If you want to sleep, the 2nd class berths are easily the best way to travel. This service has both fan cooled and air-conditioned coaches, so you have a choice (the air-conditioning is often too cold for some people). If you book in advance, you are usually able to get the more comfortable lower berths (which are much wider then the upper berths) and sell out quite quickly. Advance booking is recommended for all classes except 3rd class where you can usually get a seat on the day of travel. 1) Visit any State Railway of Thailand train station and buy your tickets in person (you can buy tickets for any route from any station).